Nisargadatta did not leave an ashram; he did not leave any teachings, nor successors. This movie is homage to him; a look at his unintended legacy from people that have been inspired by him more then words can express. 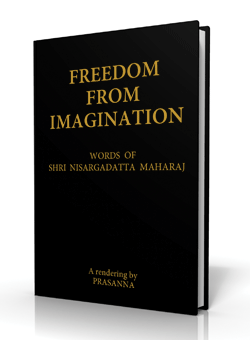 This unique collection of Sri Nisargadatta Maharaj quotes (135 pages) is printed in a limited edition of only 300 copies. We suggest a minimum price of $50 (plus shipping), but if you appreciate our work and would like to contribute to our mission, you have an opportunity to name your own price. An immersive visual meditative journey with Rupert Spira filmed in the majestic California redwood forest. This DVD brings the rawness and intimacy of nature paired with the poetic wisdom of one of the most profound teachers of our time. 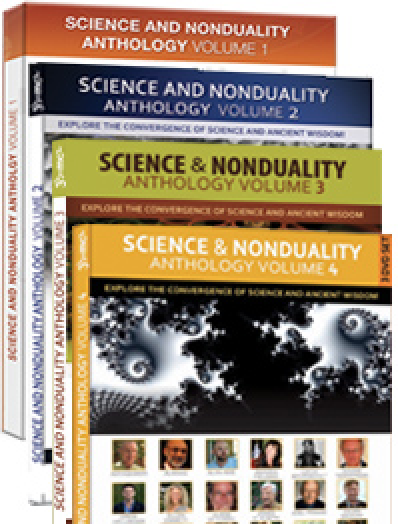 Groundbreaking collections of conversations with leading scientists, contemporary mystics, authors and teachers. Be in the presence of Maharaj for 90 minutes while the camera remains on his expressions, observe his gestures, listen to his voice while looking in his eyes. In this DVD Maharaj is covering most of the core essence of his teachings. An AMAZING document... You are in Maharaj presence! Fully translated and subtitled from Marathi. The Bhagavad Gita written some 5300 years ago takes place a battle field, and contains the dialogues between Krishna and Arjuna, and is arguably the classic text on Yoga. Neti Neti Films journeys to India to intimately capture the flavor of Nisargadatta Maharaj from the actual location where his teachings were first transmitted to the world. Through the eyes of the narrator, Dr. Stephen Wolinsky, Nisargadatta’s final and most profound teachings are presented in two unique ways. The 4 DVD's: "I Am That I Am", "Nirvana Means Extinction", "Prior To The I Am" and "Consciousness and Beyond" are the full Neti-Neti collection of Sri Nisargadatta teachings hosted by Stephen Wolinsky. This over nine hrs DVD series contains not only the teachings of Sri Nisargadatta Maharaj but also "experiential meditations" to lead the viewer into the I AM, into that substance from which all phenomena arise.